To get a better understanding of the events of the Revolutionary War, it is helpful to evaluate the strategies of the Continental army and the British army in the war and how they both planned to win. The battles and events that took place were often strategically planned with the hopes of gaining more control over a region, getting access to supplies and outmaneuvering the enemy all while trying to avoid as many casualties and military defeats as possible. These strategies were also influenced by the geography of the region, which often affected the outcome of the battles. Both sides had their own ideas on how to accomplish these goals and the strategies they used have been widely studied, scrutinized and even recreated. In fact, numerous Revolutionary War strategy games are based on these very strategies and some types of battle reenactments, such as tactical battles or tactical events, use these strategies to try to defeat their opponents in recreations of the Revolutionary War battles. British strategy changed throughout the course of the war as the British came up against more obstacles and challenges than they anticipated. 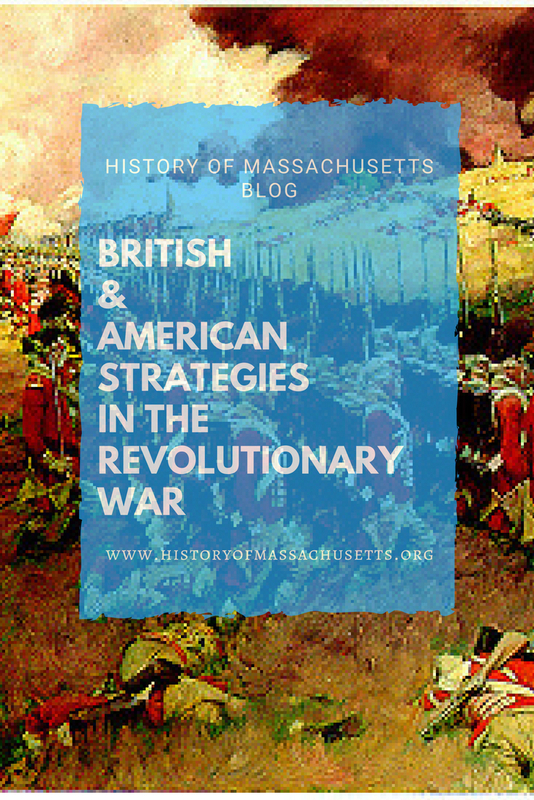 The British strategy at the beginning of the war was simply to contain the American Revolution in Massachusetts and prevent it from spreading. This proved difficult though when the British suffered devastating casualties at the Battle of Bunker Hill in June of 1775 during the Siege of Boston. After the Americans captured Fort Ticonderoga in New York, they brought the fort’s cannons to Cambridge, where they arrived on January 24, 1776, and planned to fortify the hills overlooking Boston harbor in an attempt to break the siege. When powder for the cannons finally arrived on March 2, the Americans began firing on Boston. On March 4, they mounted the largest cannons on Dorchester Heights. When the British saw the cannons on Dorchester Heights, they made an attempt to attack the heights but were thwarted by a storm. The British then decided to abandon Boston altogether and flee for Nova Scotia, Canada on March 17, 1776. The new British strategy at this point was to capture New York City and use it as a base of operations. The British successfully captured New York on September 15, 1776 and launched the next phase of the plan in 1777. 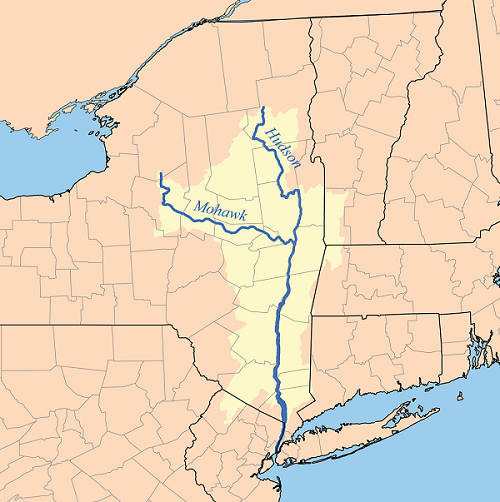 This plan was to isolate New England, which was the heart of the rebellion, from the rest of the colonies by marching three British armies simultaneously from New York City, Montreal and Fort Oswego to meet in Albany and take control of the Hudson River, which formed a natural barrier along the western edge of New England. General William Howe was to lead the troops from New York City while General John Burgoyne led the troops south from Canada and General Barry St. Leger led troops down from the Mohawk Valley to upstate New York. This idea failed though because it wasn’t executed according to plan. It all went awry when General Howe, for reasons unknown, decided to take a detour and led his troops to Philadelphia instead, where the seat of the Continental Congress was located, and captured the city. Realizing that a battle was brewing, Washington sent troops north and called for the militia to join them, which resulted in a large contingent of American troops and militia in the Saratoga area. This resulted in the Battle of Saratoga on September 19, 1777 which was a devastating loss for the British, who lost two soldiers for every one on the American side. A second battle, the Battle of Bernis Heights, took place on October 7 when Burgoyne tried to break free from the colonial forces surrounding them but was defeated. The defeat forced Burgoyne to withdraw his troops and surrender on October 17, 1777. Many historians consider these battles to be a major turning point in the Revolutionary War because these American military victories prompted France to join the war and support the patriot cause, which turned the conflict into a global war rather than a colonial rebellion. Yet, an article by John Ferling, in Smithsonian Magazine, argues that Saratoga wasn’t the only defining moment in the Revolutionary War, stating that protracted wars “are seldom defined by a single decisive event” but was instead one of five important moments, which include: the American victories at Concord and Bunker Hill in 1775 and at Trenton in 1776, the establishment of the Continental Army in June of 1775 and the British failure in their Southern Campaign in 1778-1783. As a result of their military losses and the French joining the conflict, the British decided to revisit the plan they had proposed earlier in the war, which was to focus their efforts on the loyalists in the Southern colonies in Georgia, South Carolina, North Carolina and Virginia. After turning their attention to the South, the British soon had a number of military successes, such as their occupation of Savannah, Georgia in late 1778 and Charleston, South Carolina in May of 1779 and their victory at the Battle of Camden in South Carolina in 1780. But despite their modest success there, the British greatly overestimated loyalist sentiment in the South and their military presence there prompted many southern colonists who had been on the fence about the war to side with the patriots. The British also struggled with getting access to their supply ships when they were fighting further inland. The patriots had easy access to their supplies and could also blend in among the general population. 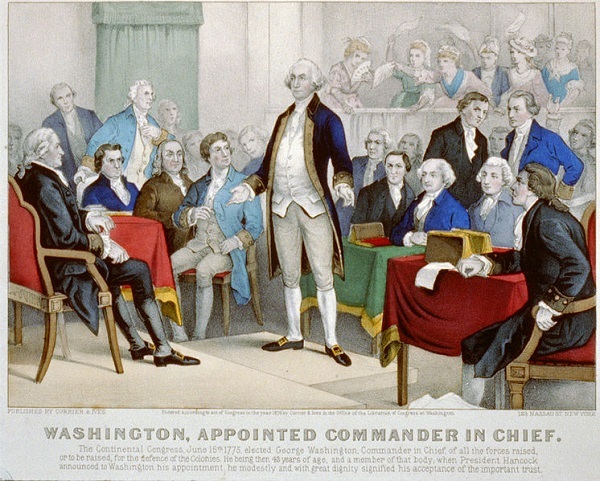 The Americans didn’t develop a real strategy in the Revolutionary War until George Washington took control of the Continental Army on July 3, 1775, although many historians are divided on exactly how strategic of a military leader Washington actually was. Yet, other historians, such as Marcus Cunliffe, Richard Ketchum, Russell Weigley, Douglas Southall Freeman and David McCullough, believed Washington was no great strategist and was instead merely lucky, persistent and opportunistic. “INSKEEP: Now, the American revolutionaries eventually did form a regular army. But guerrilla tactics played a huge role in securing their independence. Max Boot sees modern lessons in that story, as told in ‘Invisible Armies,’ his new history of guerrilla warfare. What were the strategies that the American rebels used when they were rebels? BOOT: Well, it first of all, comes down to not coming out into the open where you could be annihilated by the superior firepower of the enemy. The British got a taste of how the Americans would fight on the very first day of the Revolution, with the shot heard around the world, the Battle of Lexington and Concord, where the British regulars marched through the Massachusetts countryside. Boot also stated that the Americans used propaganda, such as Thomas Paine’s Common Sense pamphlet, to pressure British citizens not to support a war against their American brothers, which was greatly effective in undermining support in Britain for the long and costly war. These tactics were highly effective and eventually achieved exactly what they were intended to do when the British decided to discontinue military offenses in America in 1782, although fighting didn’t formally end until 1783. Cogliano, Francis D. Revolutionary America 1763-1815: A Political History. Routledge, 2017. O’Shaughnessy, Andrew. The Men Who Lost America: British Command During the Revolutionary War and the Preservation of the Empire. One World Publications, 2013. Palmer, Dave R. George Washington’s Military Genius. Regnery Publishing, Inc, 2012.